The Wizard of Oz is known for lots of ground-breaking effects. Yet one of the most difficult-to-portray scenes is early on, featuring a tornado that whips Dorothy and Toto off to Oz. 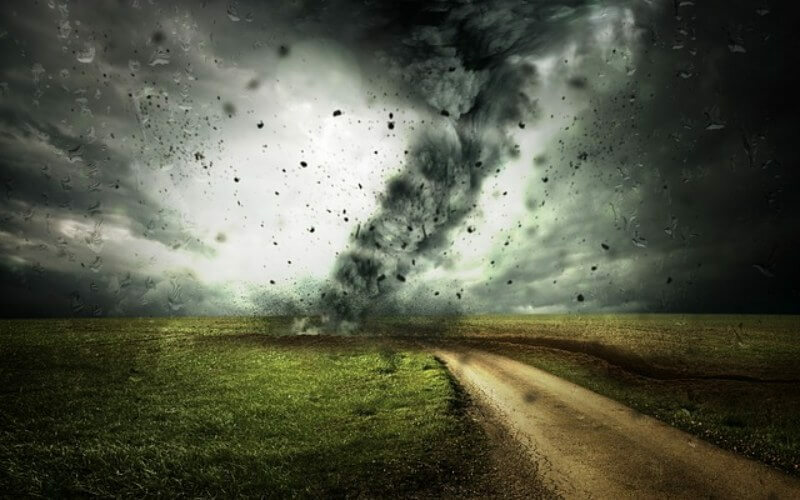 How, without special effects, does one create a tornado? With a 30-foot long muslin stocking. Watching the scene again with this in mind, it’s impossible to not be blown away by how great this simple practical effect is.